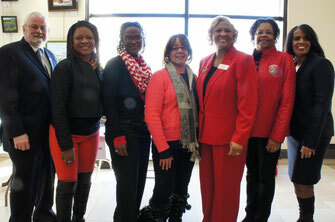 The Schaumburg-Hoffman Estates Alumnae Chapter is on the move in Schaumburg and surrounding communities. We are always looking for ways to volunteer and to get to know the people in our neighborhood. If there is a need, please feel free to contact us at info@dstschaumburg.org. On Monday, January 18, 2016, members of the Schaumburg-Hoffman Estates Alumnae Chapter volunteered at the annual Village of Hoffman Estates Breakfast honoring the life of Rev. Martin Luther King Jr. 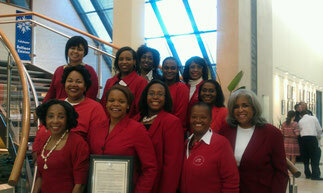 The chapter served as hostesses and also held an on site voter registration drive. The keynote speaker for the event was Phillip Reed, organization development leader. The theme for the event was "All Lives Matter". 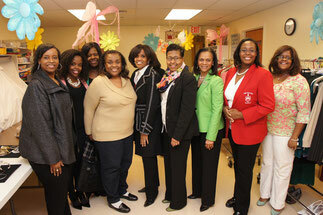 Chapter member, Letitia Robinson, served as emcee for the event. 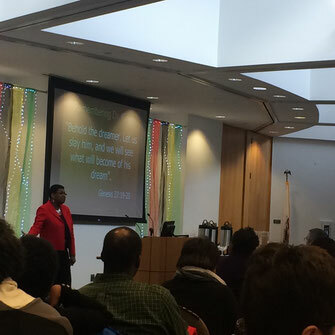 On Saturday, January 16, 2016, our member Dr. Joyce Fountain, was the keynote speaker at the City of Elgin, MLK Breakfast at Elgin Community College. At the event, Dr. Fountain issued a "Call to Action" to remind everyone that even though Dr. King is not here, his mission remains. It is up to each of us to continue his legacy and fight for equality and advancement for all people. 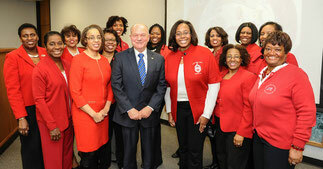 Congratulations to Dr. Fountain for a job well done! 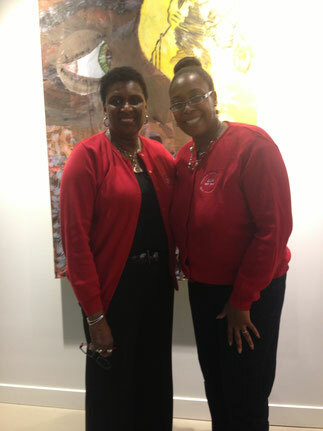 Chapter members at the Elgin Artspace Lofts for a "Celebration of African-American Hair"